Located in picturesque Old Lyme, Seifert & Hogan is a full service law firm which handles many litigation cases and appeals state-wide while maintaining a probate, estate, and real estate practice. If you have been injured and need to sue the responsible party, if you have been arrested and need criminal defense representation, if you have already had a trial and need to file an appeal, or if you need help with probating the estate of a loved one or protecting your inheritance, the attorneys at Seifert & Hogan can skillfully represent you in court. The firm's full time attorney is Conrad Ost Seifert. He and Attorney Beth A. Hogan have tried more than 300 cases before all courts in the State of Connecticut. Attorney Seifert has maintained a law practice in his home town of Old Lyme since 1981. Attorney Hogan joined the firm as a full partner in 1990. Attorney Ost Seifert has argued dozens of Connecticut appeals. 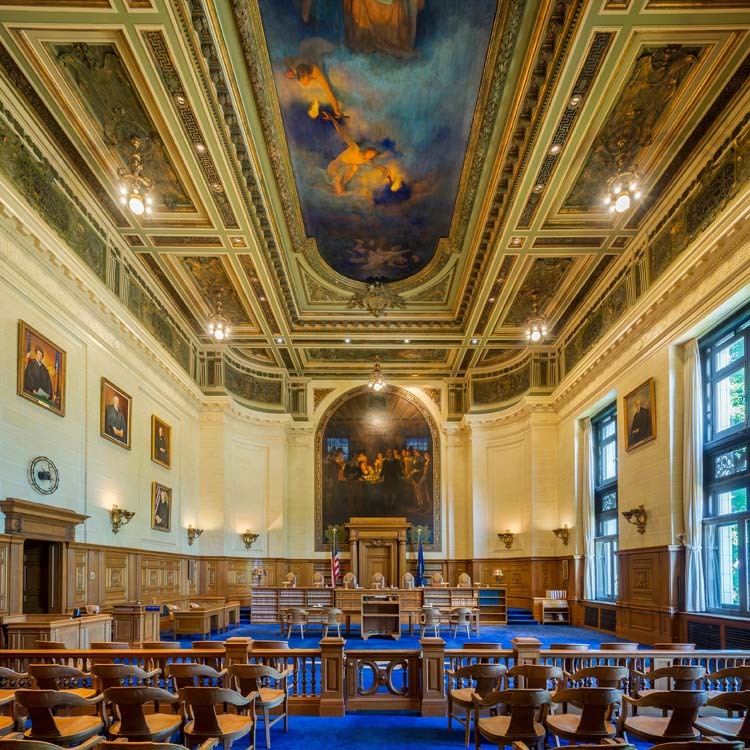 He has a deep range of expertise in appellate law and has argued successfully at the Connecticut Appellate Court and Connecticut Supreme Court. If you have been injured and someone else is at fault, we will fight hard to obtain you the compensation you deserve. If you have been arrested, you probably need a criminal defense attorney. Attorney Seifert has represented hundreds of clients in the criminal courts of Connecticut. The firm has represented hundreds of buyers, sellers, and mortgage financiers. Attorney Seifert is a licensed title insurance agent with Chicago Title Company. Proper Estate Planning helps assure your heirs that your assets will be managed and distributed according to your wishes. The firm probates wills and trusts for clients and assists with estate settlement. We represent beneficiaries and fiduciaries and also represent them in probate litigation. Contact us today to schedule your appointment to discuss your legal needs! Conrad handled my case extremely well. He is very professional and I couldn't be more satisfied. I would recommend Attorney Seifert without reservation. He recently helped me with the purchase of my first home, and was incredibly knowledgeable, responsive, and easy to work with. The process was very complex (two estates, my first home, and other factors), but knowing that I had his support put me at ease. I knew Attorney Seifert was on top of things (deadlines, fees, etc. ), and I trusted his counsel.